People tend to believe that a new coat of paint is the final touch after remodeling but this isn’t always the case. Paso Robles painter, George Borlodan, says that deciding when to paint often depends on the type of remodel, the extent of a remodel project, and how quickly residents want to regain some sense or order in the house. People tend to believe that a new coat of paint is the final touch after remodeling but this isn’t always the case. Paso Robles painter, George Borlodan, says that deciding when to paint often depends on the type of remodel, the extent of a remodel project, and how quickly residents want to regain some sense or order in the house. Any room can be repainted once the remodel work has been completed. Remodeling, no matter how excited a family might be about the outcome, can wear on everyone’s patience. Living out of boxes, looking at bare walls, not being able to use the kitchen, and doing laundry at the laundromat while the laundry room is being redone can get real old, real fast. Some families arrange vacations or temporary housing during major remodeling. But not all families can afford to do so and must continue living in the home during the remodel. Here are some guidelines to help decide when to paint. When a home is undergoing a major remodel, it might be a good idea to complete one or two rooms as much as possible and paint them so there is at least one peaceful and orderly place to go and relax while the rest of the work continues. If carpets or other flooring is being replaced, paint after the flooring is removed and before the new flooring is installed. This helps avoid accidental spills or paint drips on the new flooring. Hiring a professional painter like Borlodan Painting from Paso Robles, who takes extra effort to protect floors and furnishings will help prevent damage from spills and drips. If only a portion of the house is being remodeled, but the entire interior is going to be repainted, it might be possible to paint the rooms that are not being remodeled. The exception would be rooms that construction crew needs to travel through to work elsewhere in the house. It is generally easier to paint rooms with open floor plans like a kitchen/dining room at the end of the remodeling work. Paint entryways at the end of the project. If repainting the exterior is part of the plan, discuss the best time for this phase with the Paso Robles painting experts at Borlodan. Keep in mind that for the most efficient and cost-effective job, the painting crew and the remodeling crew need to have clear access to the house to get their jobs done on time. 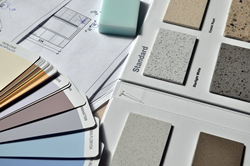 Include the painter in the remodel planning process. Schedule the painter’s time at the same time you schedule the construction crew. Getting your project on the painter’s calendar as soon as possible avoids delays. Go over the remodeling plans and contractors schedule with the painter. The professionals from Borlodan Painting have experience working with construction contractors and on remodeling projects of all sizes. Give Borlodan Painting a call as soon as possible to discuss your remodeling project. This press release is by Paso Robles SEO company Access Publishing, 806 9th Street, #2D, Paso Robles, CA 93446, (805) 226-9890.